Fruitless Pursuits: Hot Toys Coulson and Iron Man Mark VII Almost Pre-Order Sold Out! Hot Toys Coulson and Iron Man Mark VII Almost Pre-Order Sold Out! Do you hear that ominous warning klaxon?! 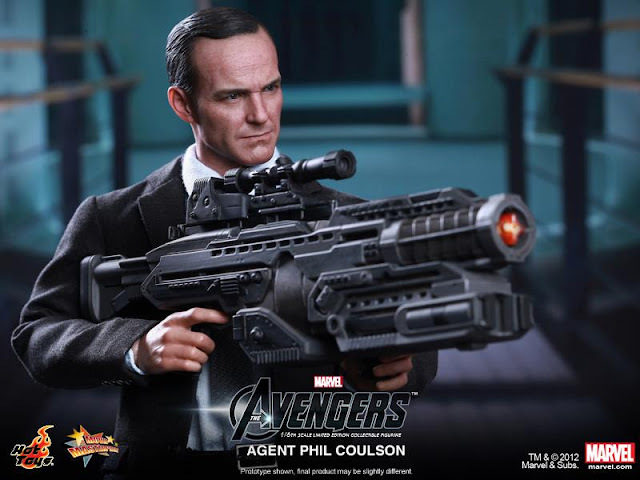 That's our good pals at Sideshow Collectibles letting us know that both the Hot Toys Agent Phil Coulson and the Mark VII Iron Man (as seen in The Avengers) are both nearly pre-order sold out! So if you've been procrastinating, dilly-dallying, or lollygagging, now is the time to pony up a pre-order - WHILE YOU STILL CAN! I've secured my Iron Man but I am still battling whether or not I need Coulson. AND I'M RUNNING OUT OF TIME! HOLY CRAP EVERYONE! THE CLOCK IS TICKING! BUY! BUY! BUY! OMG! I AM TYPING SO FAST THAT I AM MISssING LOTSS AOFSOF SJG SHSRHWJSDSOF!!! Book Review: Everybody Loves Tank Girl! The Wolverine - First Full Trailer!! Review: Dead Space 3 (PC)!